1001bookstoreadbeforeyoudie | Lets hope you live for a long time! Published in 1921, Crome Yellow was the debut novel by Aldous Huxley in which he satires the fads and fashions of the time. The story combines many of the themes of literature of this period, such as the grandiose house party, the history of a rich gentry household and the painful and the misplaced love of a young man doting on the fair lady. In a way this is the traditional country house novel in which an array of interesting characters eat, drink, debate and sponge of the willing host. However, where this work differs from the norm is in Huxley’s subtle pokes at the ridiculousness of this way of life. Although Huxley is obviously a great writer and Crome Yellow understandably is seen as a classic novel, I found it incredibly hard going and very unsatisfying. The story is basic and uneventful, the characters are rather bland on the whole and there is very little to hold the readers interest throughout. A couple of interesting themes do poke their head out through the book, including a reference to ideas found in Huxley’s later and more successful work Brave New World, but they are soon swept under the rug and forgotten. 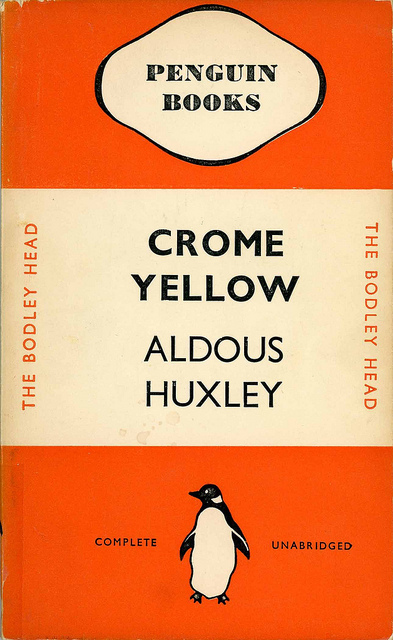 If like me you have read Brave New World and want to try some of Huxley’s other works I would recommend that you avoid Crome Yellow, as it will not live up to your expectations. The Strange Case of Dr Jekyll and Mr Hyde is a dark, psychological thriller that tells the tale of the respectable, well to do Dr Jekyll and his somewhat baffling association with the contemptible Mr Hyde. Within this novella we follow one Gabriel John Utterson, a Lawyer who investigates the strange occurrences between his old friend Dr Jekyll and the mysterious Mr Hyde. What follows is a hunt through the streets of London for a killer, a journey of self discovery for the Dr and the shocking revelation of Mr Hyde’s true identity. I read this book directly after finishing Dracula and Frankenstein, as it only seemed appropriate to read the 3 most renowned classic horror stories together, and I must say I think this was my favourite of the lot. As with Dracula and Frankenstein I was pretty sure of the ending before I began reading, thanks to years of dodgy film adaptations, but even so I found it no less exhilarating or shocking. This is only a small book and it keeps you gripped all the way through, what’s more, although written over 100 years ago the ideas are still highly applicable to modern day, as the main theme is based around multiple personality disorder, and so it is still interesting and entertaining even by today’s standards. The characters and scenes are truly dark and disturbing, thanks to the eloquence and style of Stevenson’s writing and the ideas are original, interesting and brilliant. Overall The Strange Case of Dr Jekyll and Mr Hyde is a wonderfully chilling book and the only downside is that it all seems to be over so quickly! Based on Cummings own experience during World War 1, The Enormous Room follows the story of an American ambulance driver and his best friend, stationed in France, who are arrested after some of their anti-war letters are intercepted. The pair are thus sent to the La-Ferte prison, a rundown cesspit filled with men of all nationalities, none of whom seem to have actually done anything wrong! The reader is then introduced to the colourful characters the pair meet during their time in captivity, as well as living with them through their quite unique prison experience. I found the first part of The Enormous Room highly entertaining, as we meet the pair of “criminals” and follow them on their journey across France to the La-Ferte prison, accompanied by a couple of completely incompetent police officers. Once in the prison we start to be introduced to the array of characters that have somehow ended up in this hell hole. The stories start out intriguing and the characters are very enjoyable, but then the problem I had with the book was that there were just too many of these characters! Introduction, introduction, introduction, I felt like I could never get too invested with any of the characters as every 2 seconds there was a new one on the scene! The entrances and exits of these characters also seemed to get more and more lazy with less thought and explanation behind each one as the book went on. Don’t get me wrong, Cummings is an excellent writer and his creation of all these personalities and the prison surroundings is very impressive, but I just felt like I couldn’t really get into the book as it was always as if I was on chapter 1, being introduced to the main protagonist. Into the intrigue and violence of Indo-China arrives Pyle, a young idealistic American sent to promote democracy through a mysterious ‘Third Force’. As his naive optimism starts to cause bloodshed, his new friend Fowler, a cynical and ageing foreign correspondent, finds it hard to stand aside and watch. But even as he intervenes he wonders why: for the sake of politics, or for love? 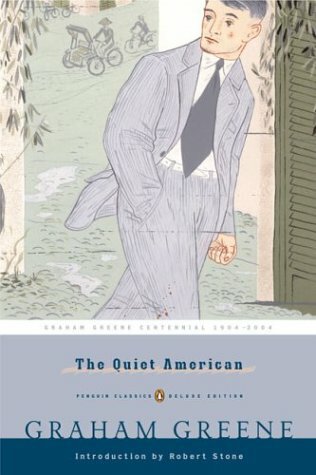 Those of you who follow this blog will know that so far I have avoided both war and romance based novels, going more towards the adventure and sci-fi genres, and so I wasn’t quite sure what to expect with The Quiet American . At first I thought the story would be quite bland and predictable, especially considering the end of the story is revealed in the first chapter! But by switching from past to present throughout the novel and giving away just small nuggets of information 1 at a time, it is continuously intriguing from start to end. What’s more, the story is shaped by the beautifully tragic surroundings Greene places the characters in and describes so well. The constant flipping from fine dining to horrific war perfectly parallels the feelings of love and hate Pyle and Fowler have for each other, feeling at times like brothers whilst both fighting for the affection of the same woman. It is not the most original or exciting novel ever but it is a love story beautifully told and well worth a read! The citizens of OneState live in a glass enclosed city, made completely of straight lines, and are ruled over by the all powerful benefactor. The society is made up of numbers not names and all work in harmony for the greater good. They are We not I. All seems well in OneState until D-503, a mathematician working on one of the state’s most vital projects, makes an unusual discovery, he has an individual soul! He has feelings for a woman that go against the benefit of the state and he starts to see himself as an individual rather than a cog in the greater machine. Zamyatin wrote We in 1921 but it was suppressed for over 60 years in his homeland of Russia and only first published there in 1988. 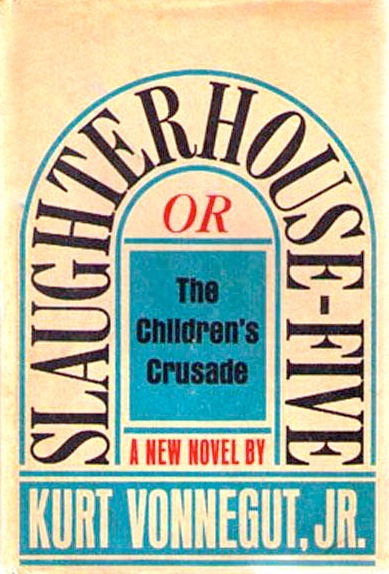 Due to its suppression it is less known that many other similar novels, but in fact this is the archetypal dystopian story and was the inspiration for George Orwell’s 1984. If you like 1984 or Brave New World you will definitely enjoy We, it has less of the Hollywood shine to it, being much harsher and mechanical, but the ideas within it are incredibly inventive, especially considering the period and surroundings it was written in. 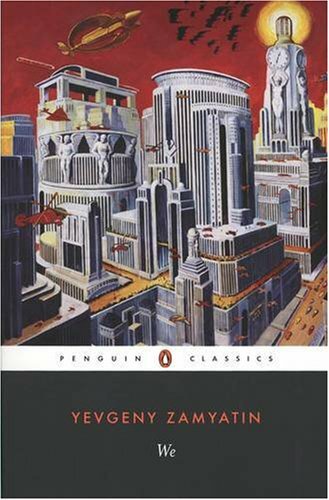 We by Yevgeny Zamyatin may not be well known but the concepts within it definitely are and Sci-Fi fans will agree that it is worth its place on the list of 1001 Books to Read Before you Die. 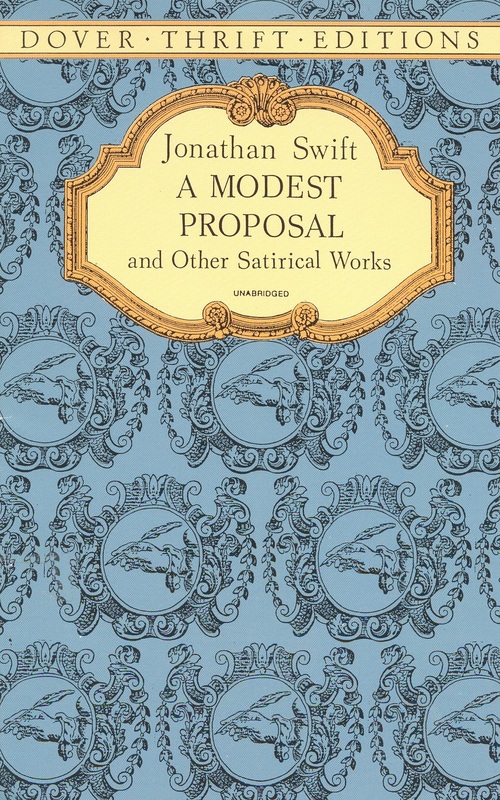 A Modest Proposal is a satirical essay, written by Swift in 1729, in response to the high level of poverty in Ireland and far removed gluttonous lifestyle of the rich landlords. The full title of the essay is A Modest Proposal for Preventing the Children of Poor People From Being a Burden on Their Parents or Country, and for Making Them Beneficial to the Publick and it is with regards to the children of the poor that Swift believes he has found a way to ease the suffering in Ireland. Swift proposes that the poor in Ireland could sell their young as food for the rich, once they have stopped breast feeding and become a financial burden. This way the poor family would not need to feed and clothe the child, plus would receive a sum for selling them! Meanwhile the rich would have a new delicacy and the overpopulation problem would be solved! Although the idea of this social commentary turns the stomach at points, with its detailed descriptions of the various ways in which the children could be slaughtered, prepared and cooked, it is incredibly clever in the way it pokes and provokes the unfair spread of wealth within Ireland during the 18th century. Provocative and thought provoking, Swift partakes in reductio ad absurdum, taking the social situation to its most ridiculous lengths, but in doing so highlights the horrific situation that is taking place across the country. Obviously Swift’s essay does not serve up a real, practical solution to the problem of poverty but that is not the point, the point is to get people to realise how ridiculous the situation is and try and change things! Not really a novel and not really fiction but I am still very glad A Modest Proposal was on the list of 1001 Books to Read Before you Die.